My days are usually quiet until 4 PM. Then it begins! I have 3 boys or 4 if you count the husband. The noise starts at 4 PM when the two youngest boys get home and continues until 9 PM when they all go to bed. The noise can be anything from the loud TV that my husband likes to watch to the 3 other boys fighting. My boys are even noisy when they are happy. I love my boys, but some days they can be just too noisy. So when I am by myself I like it quiet but when I can't get quiet in the house, I listen to relaxing music. I just put my headphones on and tune out the noise. 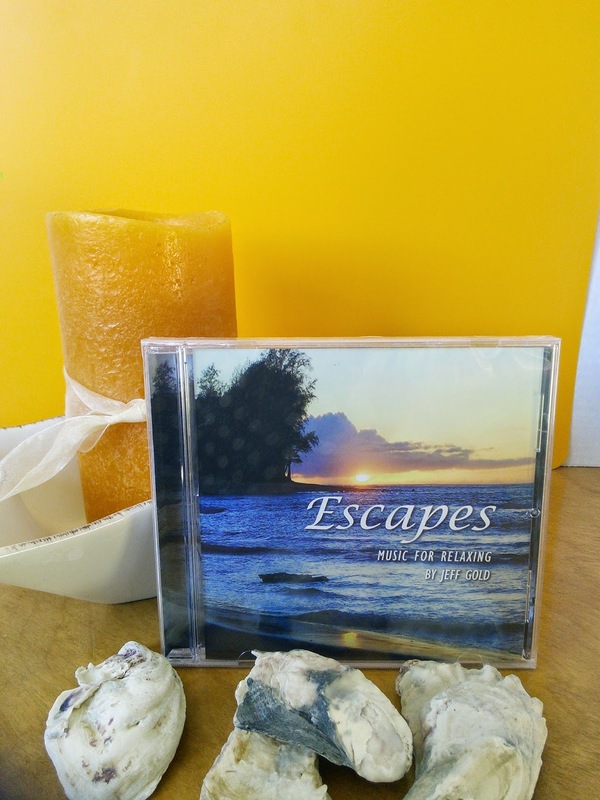 The “Escapes – Music for Relaxing ” CD helps me to relax after a noisy day of boys. I sometimes even play it when my boys are hyper as it calms them too. This CD is a soothing collection of instrumental music that features piano, guitars,strings, and flutes that helps take away the stresses of my day. These songs have a relaxing tone to them and each song may be unique but they all blend together. The relaxing music is great for meditation, yoga,massage, or helping you drift off to sleep. Some people have even found that this music creates the perfect ambience for creative thinking. I love that therapist and schools have found that the Escapes CD has helped children of special needs and of all abilities improve their focus. The composer of Escape (Jeff Gold) has a special needs nephew who helped popularize “Escapes” by sharing it with his schoolmates and therapists, who found it to be effective for them too. If you’re feeling a little stressed, can’t fall asleep, or just need a little background inspiration, “Escapes” is a one hour get-away that will renew and invigorate your spirit. **** Jeff is also offering a free download for "Tradewinds", which is one of "Escapes" most popular songs. I have an Escapes CD to giveaway to one of my readers so they too can escape the stress of their day. Just enter on the Rafflecopter form below and good luck! I would also like his CD, Soul of a Mountain. Love the guitar sounds on that one. Soul of a Mountain sounds very soothing. I'd love to have Simple Treasures! It is nice to be able to find an escape from the noise of the kids. It's so weird when I get that rare moment alone at home. This music sounds perfect to fill that lack of noise as I relax.